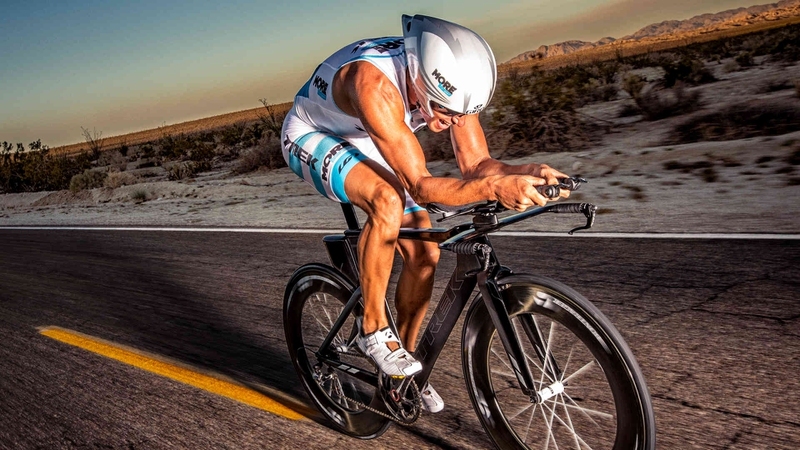 If you’re training for a triathlon and need some advice, you have come to the right place. We will be discussing tips on how to train for a triathlon like choosing your gear, training the right way, and preparing yourself for the event. The advice is mostly aimed at beginners wanting to know how to train for a triathlon for the very first time. Good triathlon gears will keep you comfortable and safe from injury. It will also help you by saving precious time in the race. This sleeveless, flexible wet suit provides you with 100% UV protection and comes with a tight collar which closes up and lets no humidity seep in. You can buy it for $200 at aquasphereswim.com. The fabric of this suit conducts heat away from the body and is a quick drier. It’s hypoallergenic, anti-smells, and antibacterial. The reinforced parts provide a better compression to your lower limbs and lower back. The UV protection factor is 50+, and the suit comes with one chest pocket placed on the inside. You can but it for $165 at orca.com. The K180 goggles will keep your vision clear for $25, from aquasphereswim.com. They come with 3 nose bezel options. The Amphibx Fit armband is waterproof and a great moral support during the race. It keeps your phone dry and fully functional, and allows you to time your track and listen to music. You can get it for $60 at h2oaudio.com. Any veteran who truly knows how to train for a triathlon will tell you that sunglasses are extremely important. Meant for fast speeds, they will protect your eyes in the cycling leg of the race. They come in various sizes, and have adjustable nose and lens color. Get it for $159 at smithoptics.com. The Prevail helmet is lightweight and ventilated, with Kevlar insertions that keep your head safe. Great for cooling, you can get it at $230 at specialized.com. The triathlon shoes that you don’t have to change during the race, S-Works Trivent, can be bought at the same shop for $400. You have to be training for all three sports you’ll be doing during the triathlon. Typically the distances range between 100 meters for swimming, 3 km cycling and 1 km running for new athletes, to the Ironman courses of 3.8 km swim, 180 km ride, and 42 km running. The first leg of the triathlon, swimming, is what turns most people off from such events. However, you should be fully aware that just like any aerobic sport, you only need to train constantly and build up your resistance to conquer this leg of the race. Some events have open water runs, while others have pools and closed courses. Either way, start to build up your resistance over the course of 10-20 weeks in a pool. Open water is not always appropriate for beginners, so stay on the safe side and go to a pool. For starters, you can wear flippers that will help you build your buoyancy and confidence in the water. Later on you will ditch them in favor of unassisted training. Start building your endurance slowly, by increasing the number of pool laps you can complete in one go. To keep up your morale, it’s important to realize that you have to work continuously and not expect wonders from the first days. An important issue for beginners is that they don’t breathe while swimming. All the water is intimidating, but you need to make an effort and swim the right way. Leaning to one side and then the other while you make your strides will allow you to breathe while not making an effort to lift your head above the water. Practice for endurance but practice for quality as well. The second part of the triathlon routines is cycling. Competition bikes are quite different from normal bikes. Even if you aren’t new to cycling, you should get your bike well in advance and get accustomed to it. If you’re driving a car or a bike with gears, you already know that you need a period to get used to a new vehicle. Competition bike pedals have slots for locking your feet in, which gives you more leverage for long distance and high speed events. Order your bike months in advance and ride to work, ride it in the evening in less traveled areas, ride it everywhere you can. How to train for a triathlon ultimately comes down to how to run the last 3 miles, when your body has been pushed to its extremes. You might think that running only 3 miles sounds easy, but it’s actually the most difficult part when you’re already exhausted from the previous triathlon legs. At least a few of your sessions should be dedicated to transitioning between these activities. With enough training, the running leg can help you make up for the time you lost in the swimming and cycling portions of the triathlon. For information on proper preparation for the running part, check out our other topic on how to train for a half marathon. If you’re not doing this for fun, you’re missing out a lot. Don’t focus on losing, because this is your event and you’re doing it for you, especially if it’s your first competition. If you finish the race you’re already a winner. You will be stressed enough with having to compete, so getting there already sweating and tired from the traffic rush will not help much. Some races will offer you a swim to warm up, so jump right in if you’re given the possibility. It will help you calm your nerves and get used to the temperature of the water. A quick and short stride will save a lot of your stamina, so constantly think about shorter and quicker strides. Cycling upfront in a high gear doesn’t properly prepare your legs for what’s coming. Instead, start with a higher cadence and lower gear to warm up. Checking your gear is an important part of the effort. So check the pressure imprinted by the manufacturer on the side of the tire and make sure yours are inflated enough.